The idea of managing your own super through a self-managed super fund (SMSF), appears to be a popular one in Australia, with over one million Aussies opting to secure their retirement nest egg in a SMSF, with total assets of $621.7 billion. However, SMSFs can be complex to manage and maintain. For medical professionals seeking to purchase business property or medical rooms, a SMSF may be worth the extra effort. Employers are required to contribute a percentage of their employees’ salaries into a nominated super fund, and these super funds can be retail, industry, corporate, public sector or self-managed funds. SMSFs are for those who seek to manage and control their own super investment, rather than have an industry fund manage the details on their behalf. SMSFs can have up to four members. In a SMSF, the members are the trustees, and the SMSF is established only for these members. SMSFs have advantages and drawbacks for doctors, as with any other investment option. While you can enjoy the freedom of managing your own money, setup and maintenance costs can be substantial, and you’ll need to have sufficient financial knowledge to manage your SMSF successfully. The pros of having a SMSF can be considerable, but whether you can take advantage of these benefits depends on your unique circumstances. A SMSF gives you absolute control over asset allocation and the types of assets your super will be invested in. If you’re an experienced investor, you can gain satisfaction from applying your knowledge and expertise by taking a hands-on approach to your SMSF. Note that investing skills could make all the difference as around half of all SMSFs don’t make money, compared to an average return of 2.9 percent for APRA-regulated or industry super funds. One major advantage of investing through a SMSF is the fact that you can purchase property with your super money. A strategy of interest to medical doctors is the option to purchase consulting rooms and medical practice property through the SMSF, which can give you numerous tax advantages and help you grow your retirement nest egg, if done in the right way. 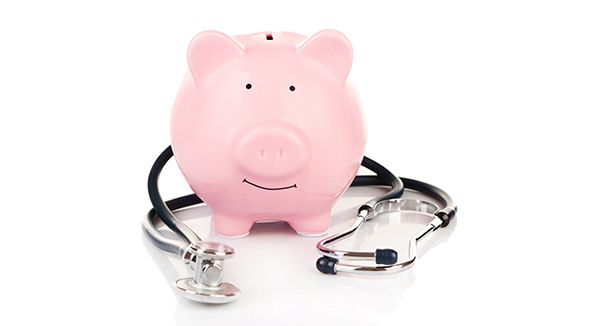 Many medical doctors use SMSF for possible tax benefits. As a high income earning medical professional, a SMSF could provide a number of tax benefits in addition to the concessional tax rates available for all types of super funds. For example, your SMSF might be exempt from paying tax on the dividends paid on shares in publicly listed companies. SMSFs can also provide extra flexibility for individualised tax strategies in relation to capital gains, and give you extra options when it comes to corporate actions such as buy-back offers and rights issues. At a practical level, once you’re in the pension phase, a SMSF can give you more flexibility when it comes to drawing pension payments. You have full control over estate planning and how you’d like your super planning and withdrawals to complement your estate planning. Since switching to a SMSF can be a major undertaking, consider the limitations and seek advice before you make the change. As both a member and trustee of your SMSF, you’re responsible for complying with the complex regime of SMSF laws and regulations. For busy medical professionals, SMSFs can be time-consuming to manage, and you might not have the necessary expertise or time to ensure that your SMSF is managed in accordance with the law or generating ideal returns. In this case, the best option is to outsource SMSF administration and leave it to the experts. If you’re fairly early in your career and currently have a low fund balance (of say, less than $400,000), the costs and commitment of running a SMSF might not be worth the extra control you have over your super. Setting up your SMSF and running it will involve extra costs, including costs associated with investing, accounting, and auditing your SMSF. Further costs can also come in the form have having to purchase insurance – such as discounted life and disability insurance – separately, since these are often offered with industry super funds. Balance these costs against any potential gains as you assess whether a SMSF is right for you. If you’re not a tax, accounting, and financial expert, you’ll need to work with professionals to manage your SMSF and ensure that it’s not only sustainable but growing. You may need to employ an approved SMSF auditor, an accountant, a tax agent, a fund administrator, a lawyer, and a financial advisor to help run your SMSF. Note that with industry super funds, you can still enjoy having some control by choosing from a variety of investment options for your super, including shares, term deposits, and exchange traded funds. This means you can enjoy a level of flexibility with your super, without the compliance burdens and obligations. As with any investment option, there are advantages and limitations when it comes to investing through a SMSF. The choice to roll your balance into a newly established SMSF should be carefully considered. Since SMSF are subject to stringent compliance requirements and laws, it’s well worth discussing your goals and motivations with a financial expert before making any decisions. If handled correctly, SMSF are a great option for doctors who want to bolster their retirement savings. If you’re considering moving your super over to a SMSF, consult with MEDIQ to seek the appropriate advice before making any changes.